Home Blog Take Mother Teresa’s Advice and SMILE! Throughout the day, we encounter many people whose language we don’t speak, even if we’re both from the same country. Our backgrounds, life experiences, emotional and mental state, physical health, and state of life cause us to speak a different language of sorts than others. Because of who we are, what we’ve been through, and where we are now, we relate to the world around us in a completely different way from our fellow human beings. For that reason, we all speak a different language. Still, we can offer each other a smile, as Mother Teresa did. We can share Christ’s joy with those we encounter by forgetting – at least for a second – our own selfish concerns to focus on the child of God before us. As you move through your day today, think of St. Teresa of Calcutta and SMILE! Below is the full text of the Holy Father’s homily, courtesy of the Vatican Press Office. 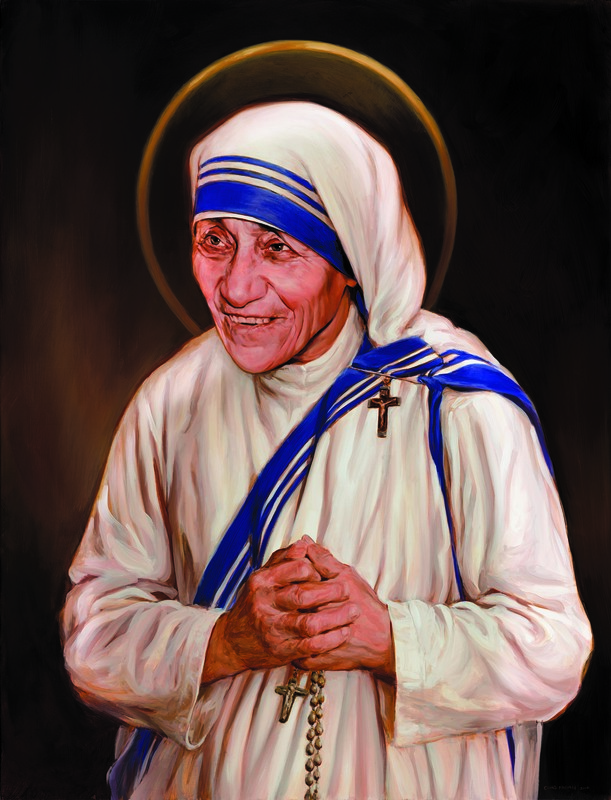 Mother Teresa, in all aspects of her life, was a generous dispenser of divine mercy, making herself available for everyone through her welcome and defence of human life, those unborn and those abandoned and discarded. She was committed to defending life, ceaselessly proclaiming that “the unborn are the weakest, the smallest, the most vulnerable”. She bowed down before those who were spent, left to die on the side of the road, seeing in them their God-given dignity; she made her voice heard before the powers of this world, so that they might recognize their guilt for the crime of poverty they created. For Mother Teresa, mercy was the “salt” which gave flavour to her work, it was the “light” which shone in the darkness of the many who no longer had tears to shed for their poverty and suffering. Catholic Church, Mother Teresa, Pope Francis. Bookmark.